In 2011, Bloomberg Philanthropies gave $50 million to the Sierra Club's Beyond Coal initiative. Wednesday, former New York City mayor Michael R. Bloomberg announced an additional $30 million to reduce U.S reliance on coal. Imagine hearing about a health breakthrough that will save 5,500 lives this year. An innovative new drug? An advanced new medical procedure? A new miracle diet? No. The breakthrough has been a grassroots movement to clean up the air we breathe by closing down coal-fired power plants and replacing them with cleaner energy. Though many people don't realize it, coal is hazardous to your health. For every 50 gigawatts of coal America takes offline, we save approximately $2.3 billion in related health care costs each year. In fact, closing just a single plant can prevent 146 asthma attacks, 47 heart attacks, and 29 premature deaths a year, according to the Clean Air Task Force. Many of coal's defenders refer to these efforts as a "war on coal" -- without mentioning the actual death toll. Coal is still killing 7,500 people annually. That's 7,500 too many, but it's down from 13,000 just four years ago, when Bloomberg Philanthropies teamed up with the Sierra Club to set an ambitious goal: retiring one-third of the U.S. coal fleet by 2020. To achieve that goal, we developed a campaign called Beyond Coal to help empower communities to persuade utilities and businesses to transition to cleaner, low-carbon sources of power -- including solar, wind and natural gas. The Beyond Coal campaign has been more successful than we ever imagined possible. Not only are we on track to hit our goal ahead of schedule, creating bigger public health benefits than we anticipated, we made a major contribution to the fight against climate change. We always knew there would be a climate dividend, and it proved to be a big one. In recent years, no nation has reduced its carbon footprint more than the U.S. The single biggest reason for that decline is that coal has gone from 52% of the U.S. power mix in 2006 to under 40% today. The price of natural gas has, of course, played an important role in that decline, but without the Beyond Coal campaign, many of the 187 coal plants would still be in use. In fact, without Beyond Coal, it would be nearly impossible for the U.S. to fulfill the new commitment made by the Obama administration last week to reduce carbon pollution by 26% to 28% over the next decade. Beyond Coal built public support for clean power, encouraged utility companies to transition to cleaner fuels, and helped set the stage for U.S. leadership on climate change. Today, we are announcing the next phase of the Beyond Coal campaign, with an ambitious new goal: closing, or transitioning to cleaner energy, half of the nation's coal fleet by 2017. We know that coal's defenders will howl. But the fact is, moving off of coal is good not only for our nation's public health, but also for our economic health. Companies want to invest in cities and countries that have clean air, which is one reason why countries like China and India are investing in renewable energy. The dirtier the air is, the harder it is to attract talented people, the harder it is to attract capital investment. Clean air is an economic catalyst because it is a human magnet. Smart energy leaders who see the writing on the wall are already adjusting their models. 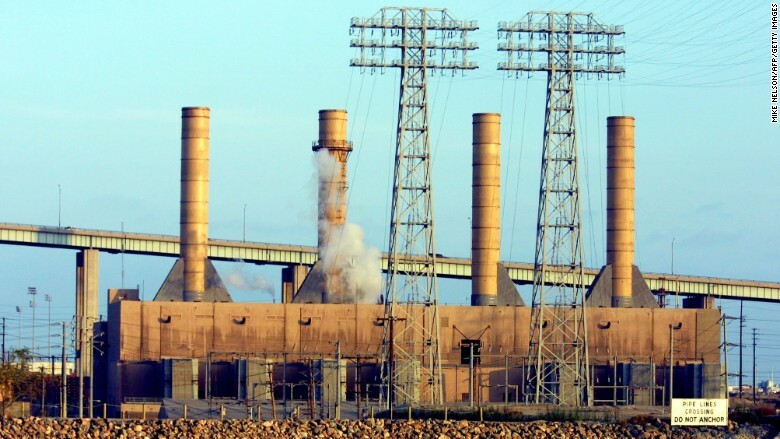 David Crane, the CEO of NRG Energy, runs a business that was built on coal, yet he is now aiming to cut his utility's carbon emissions in half by 2030. He explains that distributing electricity from fossil fuels over millions of miles of power lines is "a model that hasn't changed much since Thomas Edison invented the light bulb. And it's doomed to obsolescence." More energy leaders will recognize this reality in the years ahead, and invest accordingly. Of course, there's an important role for government to play here as well. I strongly support the steps that the Obama administration and the EPA have taken to toughen emissions standards, and early this year, Bloomberg Philanthropies created a fund to help states comply. For the first time, public opinion, government action, and market forces are all moving in the same direction -- and it leads beyond coal. Along the way, we can demonstrate -- as we have been doing in recent years -- that carbon reduction and economic growth go hand-in-hand. And as we approach the U.N. conference on climate change at the end of the year, our example can help convince other countries to create their own bold goals for giving their citizens cleaner air and healthier, longer lives. That's a war worth winning.